Head lice is a problem all around the world. In the United States, we are no exception. In fact, up to 12 million people in this country will suffer from head lice each year. Most of those victims are children between the ages of 3-10. Ever heard of “super lice”? These are parasites who have become immune to the standard treatments that have been used to eliminate head lice for decades. 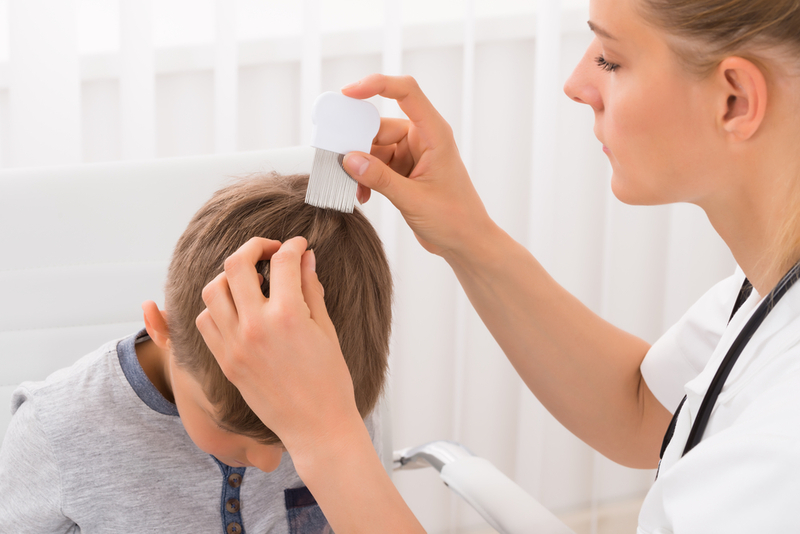 Scientists have recently discovered that pyrethroids, a widely used insecticide in over the counter lice treatments, are becoming much less effective in killing lice. How? Over 20-25 years of using these products lice have grown immune to their potency by developing a gene mutation. It simply doesn’t get the job done anymore. Has that got your attention? We thought so. With that in mind, here are the most common ways people catch head lice. Head lice are most often transferred through direct head to head contact. What does that mean? Children are prone to close interaction. By far the most common place for them to encounter lice would usually be their preschool, daycare, school environment. While they play they reach for one another, hug as they play, lay down to read a book or roll around in the sandbox. Head lice do not fly or jump. They crawl from hair strand to hair strand or are bumped off onto another person’s head. These types of direct contact make children more likely to pass along head lice. But, don’t be fooled into thinking adults are immune. How are head lice passed onto adults? -Public or crowded places can make anyone susceptible to head lice. What kind of places? Malls, shopping centers, amusement parks, sports events, workout gyms, schools, campuses, movie theaters, hospitals, etc. -Sharing clothing like hats, scarves, coats, earmuffs, beanies, hoodies. Hair accessories are also a risk. Do not share brushes, clips, scrunchies or other items used near the scalp. -Sharing lockers or personal items in a close, tight space. Items that you may never think about can be harboring head lice or their eggs. Towels, helmets, sports gear, or even purses and bags. If an unhatched egg finds its way onto your items from someone else’s belongings who is infected, chances are you will get head lice. -By far, however, the most common way adults contract head lice is through contact with young children. If you live with a child, you are much more likely to get it as an adult. Symptoms can take up to three weeks to really start showing up. This means that three weeks of not knowing your kid has head lice or nits to share with everyone in the household. What can I do to prevent head lice? Perform frequent head lice checks on every person in your family. If you are unsure what to watch for, call Lice Clinics of America. We can help you look for signs and teach you how to nitpick through the scalp and determine if you have a problem. Parenting Tips: How to Talk to Your Kids About Lice Night, Night. Sleep Tight. Don’t Let the Head Lice Bite.